In Apple's quarterly conference call on Wednesday, CEO Tim Cook said that the company's Apple TV set-top box continues to sell well and characterized the television segment as a space where "there's a lot we can contribute." Asked about Apple's intentions with regard to the TV market, Cook avoided tipping any products in the pipeline, but assured listeners that "in terms of the product we sell today  Apple TV  we sold more than we've ever sold in a quarter." 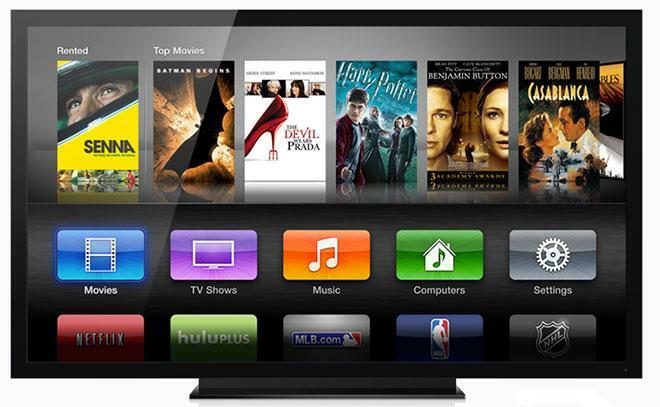 This past quarter, Apple sold two million of its Apple TV set-top boxes, up 60 percent year-over-year. "What was a small niche at one time," Cook said, "has a lot of people who love it." Cook has previously hinted that Apple was preparing to redefine the television set, much as it has the cellular phone, but on the call he declined to give any further input on what Apple may be working on in the television sector. "I have said in the past it's an area of intense interest for us, and it remains so. There's a lot we can contribute in this space, and we'll continue to pull the string and see where it leads."